After receiving his undergraduate degree from UCLA in 1984, Steve completed his dental school training with high honors in 3 years at the University of the Pacific Dental School in San Francisco. He then practiced general dentistry in Santa Rosa, and concurrently taught at his dental alma mater until he began his Orthodontic residency at OHSU, here in beautiful Portland. 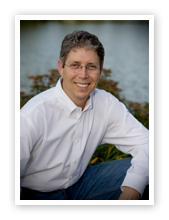 Dr. Black has been enjoying providing Orthodontic treatment to children and adults in Beaverton and Tigard since 1991. He is proud of his reputation in the Dental and Orthodontic community as a person of integrity, high clinical standards, and as someone who has seamlessly combined both the art and the science of creating beautiful smiles. Your dentist will tell you that Dr. Black's finished cases are the highest quality around. Your neighbors will tell you that Dr. Black's chairside manner is genuine, caring, and he always puts the patient's interests before his own. Your children will tell you that their friends love Dr. Black and his team of gentle and fun-loving assistants. Dr. Black highly values ongoing continuing education for himself, as well as for his staff. 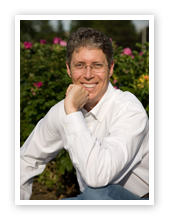 He is a member of the American Dental Association, Oregon Dental Association, WA County Dental Association, and frequently attends their educational conferences. As a member of the American Association of Orthodontics, the Pacific Coast Society of Orthodontics, and the Oregon State Society of Orthodontics, Dr. Black routinely meets with his Orthodontic peers in a cooperative and collegial manner to continuously improve patient care and clinical efficiency. Dr. Black is also a proud member of the World Federation of Orthodontics, and attends international Orthodontic conferences, to gain a broader perspective on the state of the art of Orthodontic treatment world-wide. When he is not at the office, Dr. Black enjoys time with his family, watching college basketball and football, and the occasional (frustrating) round of golf! Dr. Black has a passion for travel and learning about different world cultures, art and architecture. When you're in the office, be sure to ask him about his last or next trip!